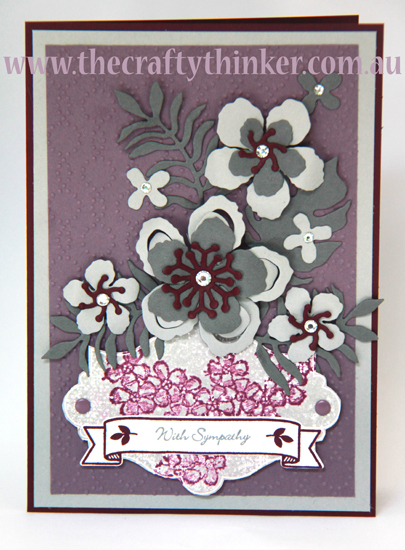 It's never nice to make a sympathy card but, sadly, it's something that we need to do from time to time. The flowers have quite a lot of depth. I was demonstrating thekissing technique (pertaining only to stamping!) to my class this week and came home with the Everything Eleanor panel. I decided to put it to good use in this card for a colleague who has suffered a bereavement. I inked up the label image from Everything Eleanor with Smoky Slate ink and the floral image from Birthday Blossoms with Blackberry Bliss. Then I kissed the floral stamp against the plain stamp. The now patterned plain stamp was now ready to stamp onto Whisper White cardstock and afterwards I cut it out. I cut flowers and leaves with the Botanical Builders framelits from a Blackberry Bliss, Smoky Slate and Basic Grey cardstock. 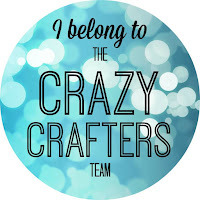 I stamped the banner from Bloomin' Love in Blackberry Bliss onto Whisper White cardstock and then added the sentiment from Teeny Tiny Sentiments in Basic Grey before cutting it out with the Large Numbers framelits. 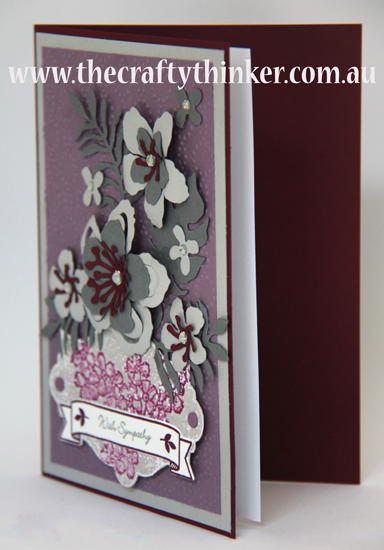 I layered Smoky Slate cardstock onto the Blackberry Bliss card followed by the Perfect Plum panel which I had embossed with the Elegant Dots embossing folder. The finishing touches were a couple of Perfect Plum Candy Dots and some Rhinestone Jewels.